When an emergency hits, preparedness can make a big difference. If the tornado siren sounds, do you have a safe place to go? If your child ingests poison, do you know what to do? The Mason County Health Department believes that the best thing anyone can do is to prepare ahead of time. From teaching children to “stop, drop, and roll” to having a first aid kit in the home, there are plenty of ways you can prepare for an emergency before it hits. Emergency preparedness can prevent injuries and save lives. Here’s how you can prepare in Mason County. Choose two meeting places outside the home to meet once it’s safe in case of a fire or other disaster. One should be just outside the home, such as at the mail box. The other one should be outside the neighborhood, such as at a family member’s house or a local school. This spot will be used if it is unsafe to return to your home. Make copies of emergency contact cards and make sure everyone in your home has one. Teach your children about the different numbers to call in the event of an emergency. Program home phones and cell phones with family members’ and friends’ phone numbers that your kids can call in case of an emergency. Keep a first aid kit in the home and keep it well stocked. Teach your family how to use it. 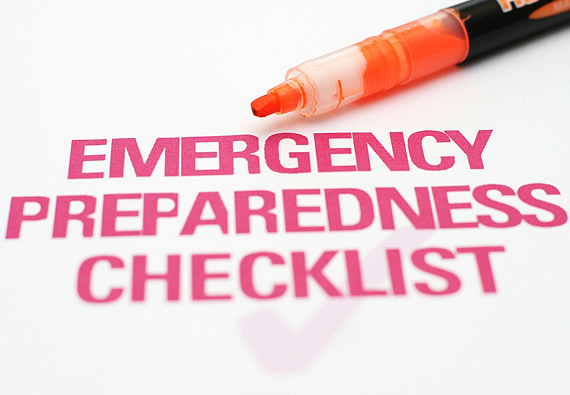 Set up an emergency plan for the different disasters that can affect your home, mainly floods, tornadoes, and fires. Make sure everyone in the home knows how to react if one of these disaster occurs. Emergency preparedness can save lives. Make sure everyone in your home is ready to act if a disaster strikes. Emergency preparedness can save lives and prevent injuries. Contact Mason County Health Department by phone at 309-210-0110 or online for more help.